Here in Canada, we take our gaming very seriously. Whether it’s a trip to the local casino, or a friendly game of Euchre around the kitchen table—the goal is always to win. And in multi-player games like Texas Hold’em, there can only be one real winner. As you can imagine, Canadian Texas Holdem players are extremely competitive, especially when there’s real money on the line. However, we’re also a very loyal bunch. We appreciate our own, and will do anything we can to assist a fellow Canadian—short of sacrificing our own game, of course. The game didn’t really gain fame until the 1950s, though, when a group of traveling poker legends (aka “rounders”), including Crandell “Dandy” Addington and Doyle “Texas Dolly” Brunson, spread the rules across Texas and bordering states. Eventually, it made its way to Las Vegas in the early 1960’s, where several casinos (albeit reluctantly) opened Texas Hold’em tables. Hearing of this, Addington, Brunson, and their good friend Thomas “Amarillo Slim” Preston Jr. made their way to Vegas, where they played regularly, and won consistently. The second annual World Series of Poker (WSOP), held in 1971, was the first to feature No Limit Texas Holdem as the main event. It’s since remained the staple event of the WSOP—now the most prestigious poker tournament in the world, held each summer in Las Vegas. 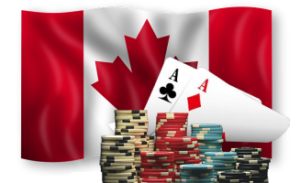 Texas Holdem’s popularity continues to supersede all other poker variants by leaps and bounds; not just here in Canada, but all over the world. Its notoriety is largely attributed to the surge of online poker following the turn of the millennium. In 2003, the WSOP drew record entries of 839 participants. That was the year Chris Moneymaker won his $10k buy-in via an online poker satellite, then went on to win the WSOP Championship for $2.5 million. Internet poker sites immediately exploded with activity. WSOP attendance tripled to 2,576 in 2004, doubled again to 5,619 in 2005, and set the current record of 8,773 in 2006. Today’s Texas Holdem masters harvest no less than $7.5 million for taking down the WSOP Championship. 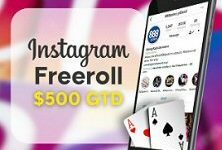 That’s not to mention the multi-million dollar prizes in other worldwide events, including the World Poker Tour and European Poker Tour, the PokerStars Caribbean Adventure, Asia Pacific Poker Tour, and Aussie Millions. 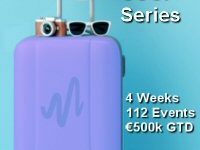 Online series like the PokerStars Spring and Winter Championships of Online Poker (SCOOP and WCOOP respectively) are heavily populated, as well, guaranteeing $10 million apiece to their main event winners. There’s more exceptional value to be found in PartyPoker’s Power Fest and Monster Series events, as well as the 888Poker Super XL Series, and MPN Universal Championship of Poker. The Great White North is responsible for producing some of our generation’s best poker players. 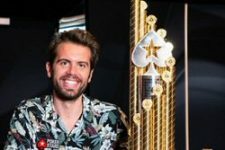 Daniel Negreanu, Jonathan Duhamel, Mike McDonald, and Sorel Mizzi—all Canadian poker pros; all members of the current top 50 all-time money list for live tournament cashes. We’re not just prominent in male poker prowess, either. Kristen Bicknell, Xuan Lu, Isabelle Mercier, Kara Scott and Ema Zajmovic are all proud bearers of the Canadian flag. Years ago, poker bailiwick Mike Sexton coined a now very famous phrase, describing Texas Holdem as “the game that takes a minute to learn but a lifetime to master”. While those time frames might be a bit exaggerated, the sentiment is 100% true. There are so many facets of strategy that can be applied to the game. Not just mathematical strategies—calculating expected values, pots odds, three-bets, efficacy of the check-raise—but psychological strategies. Getting into an opponents head so deep that you can call their hole cards with 90% accuracy. Dutch physicist, string theorist, and avid poker player, Marcel Vonk, made it sound so simple when he said Texas Holdem is a mixture of “math skills” and “people skills”. 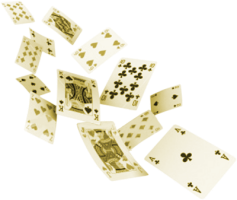 Vonk and other game theorists tend to agree, the mathematics side of poker isn’t nearly as important—experience and intuition can, for the most part, replace mathematical knowledge—but the ability to read people is invaluable. It’s one of the many aspects of the game that gives the best poker players an edge over the competition. Others swear by the ‘unexploitable strategy‘ known as game theory optimal, considered the perfect counter-attack for traditional exploitative strategies. It’s not all math and psychoanalysis though. Countless professionals have sworn by some techniques you may find ludicrous. The efficacy of ergonomics, homeopathic stress relief, conscious self-control of eye movement following hours under the table lamps; all can be crucial to maintaining the ever-important, ever-impenetrable poker face. Playing poker online opens a whole new window to tactical game play. Every new player wants to join PokerStars because it’s famous. It has the largest player base, highest prize pools. But does it afford the best opportunities to win? Does it offer a competitive rakeback schedule? Such conditions can have a considerable effect on your overall earnings. This website will focus on these and other extrinsic poker strategies, all catering to a single goal: To help improve your game. So sit back, relax, put on some music if you like, and prepare to explore a whole new world of tactical Texas Holdem.